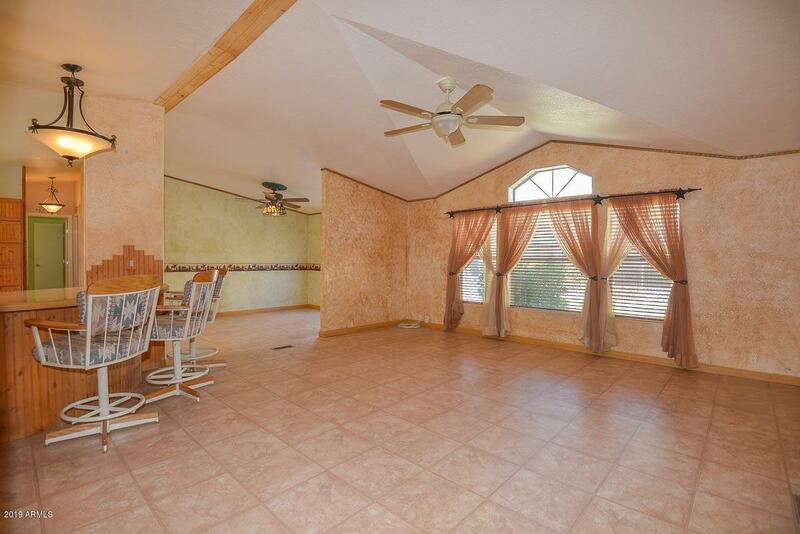 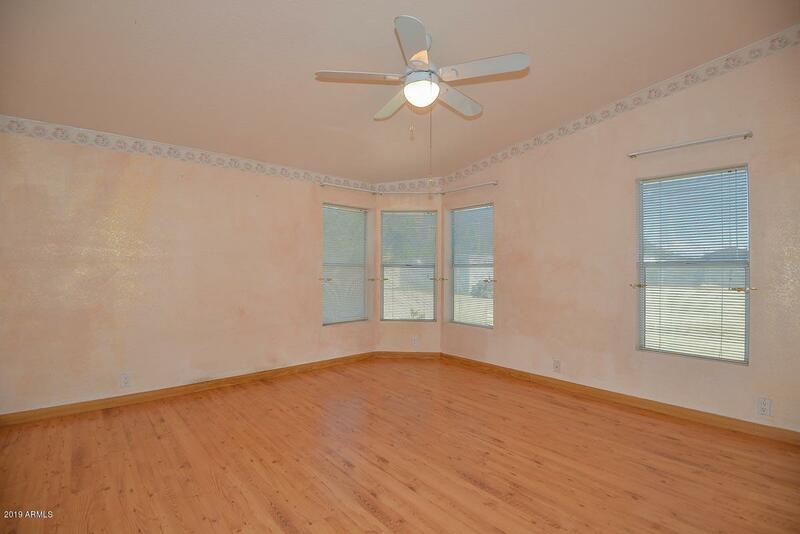 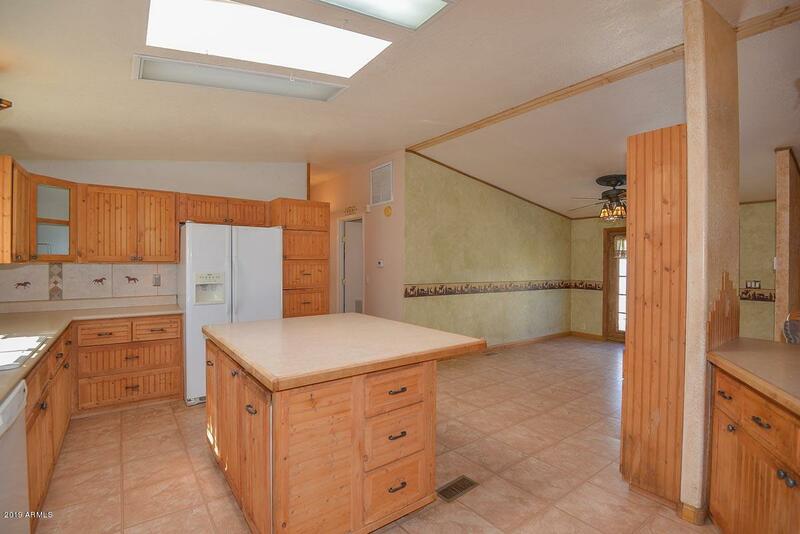 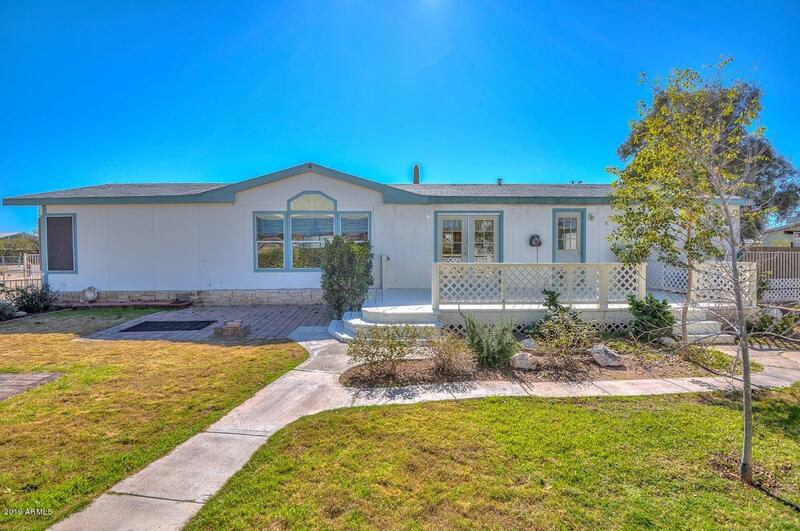 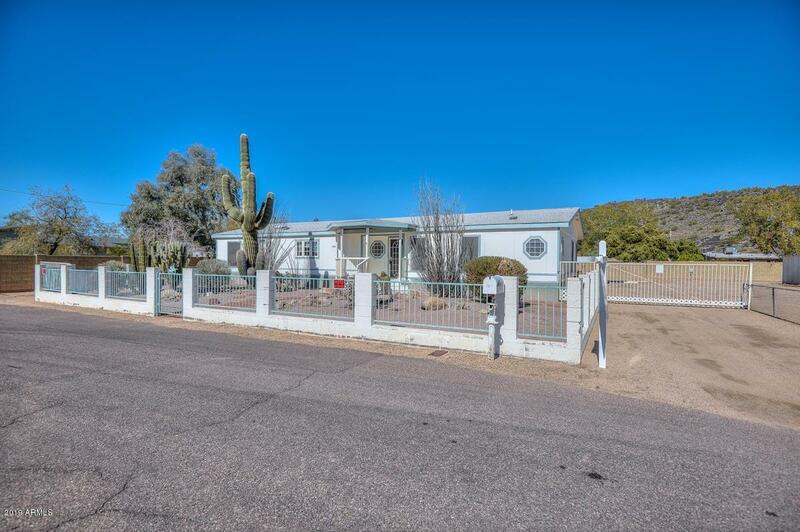 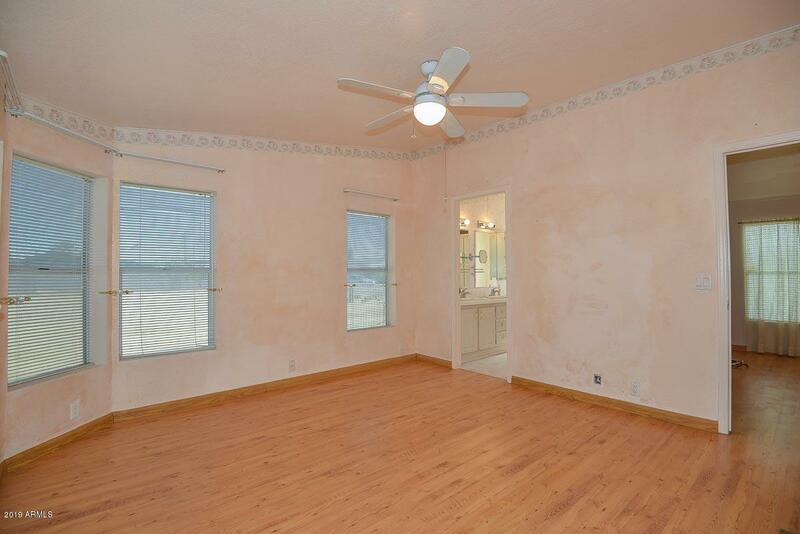 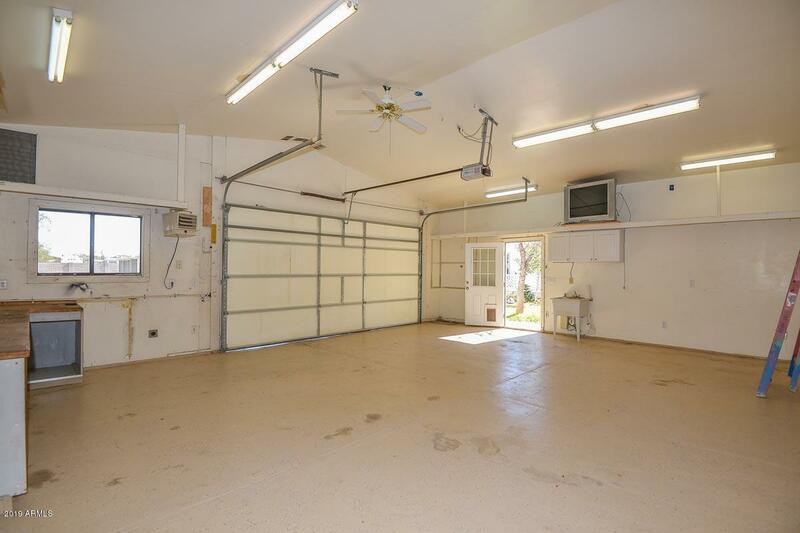 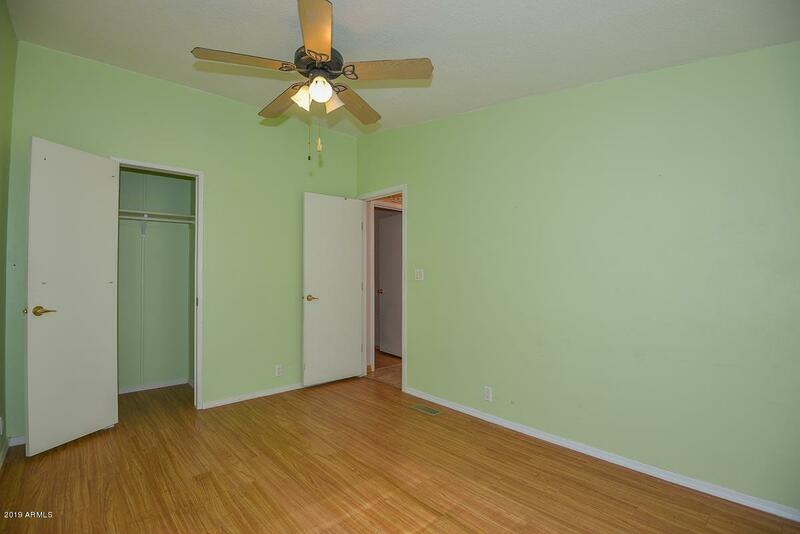 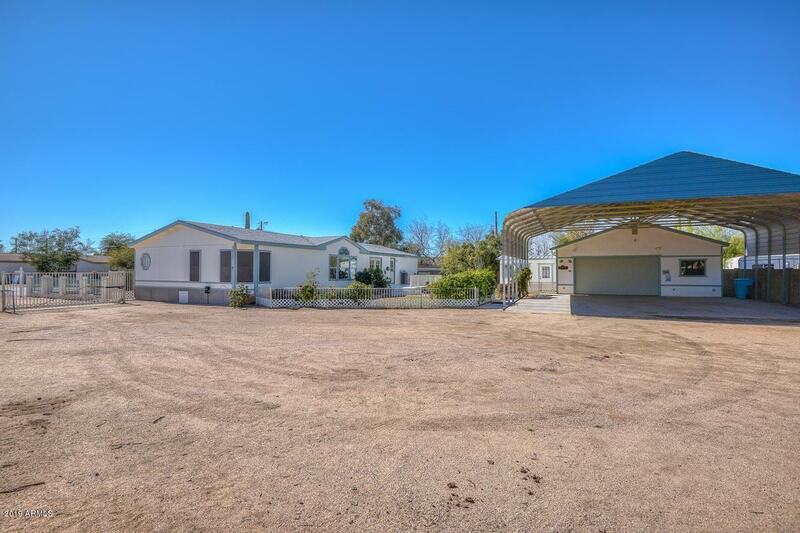 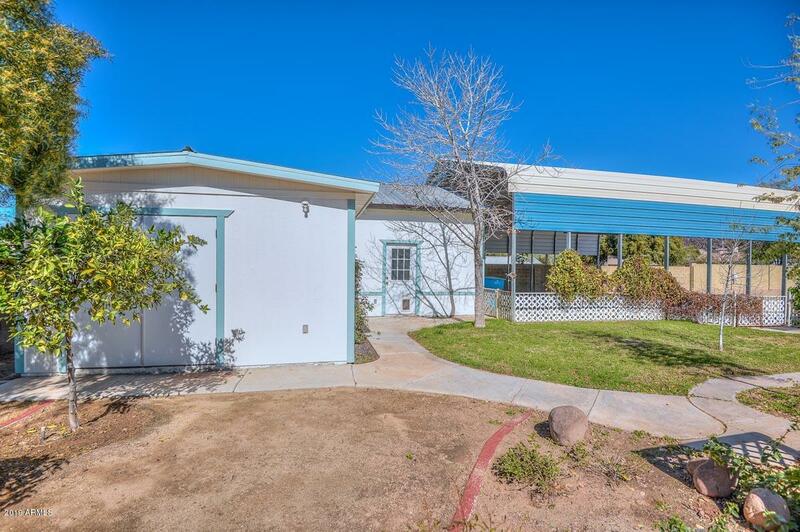 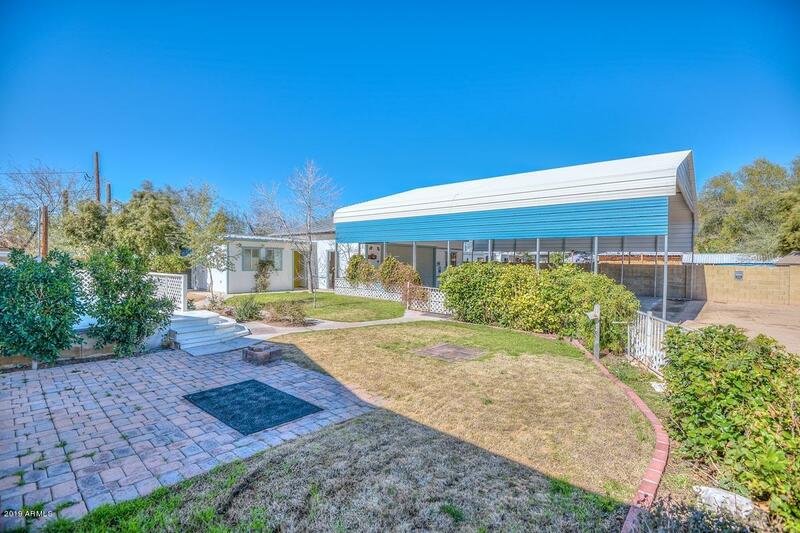 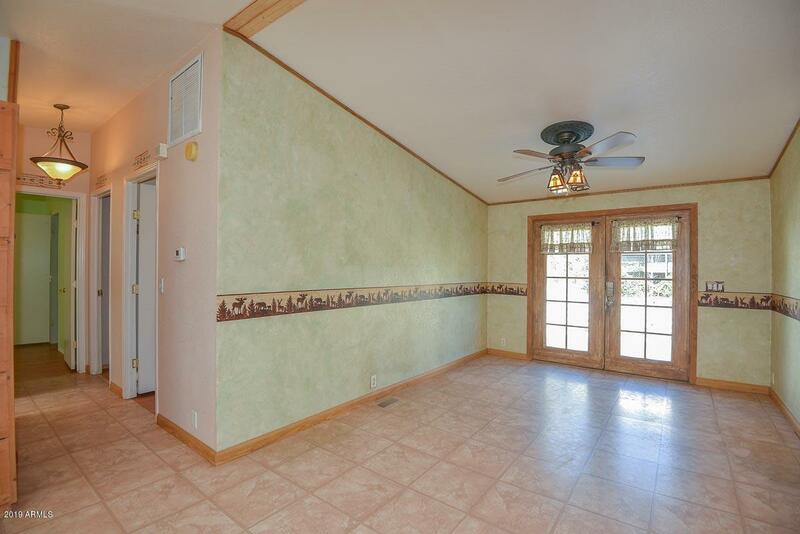 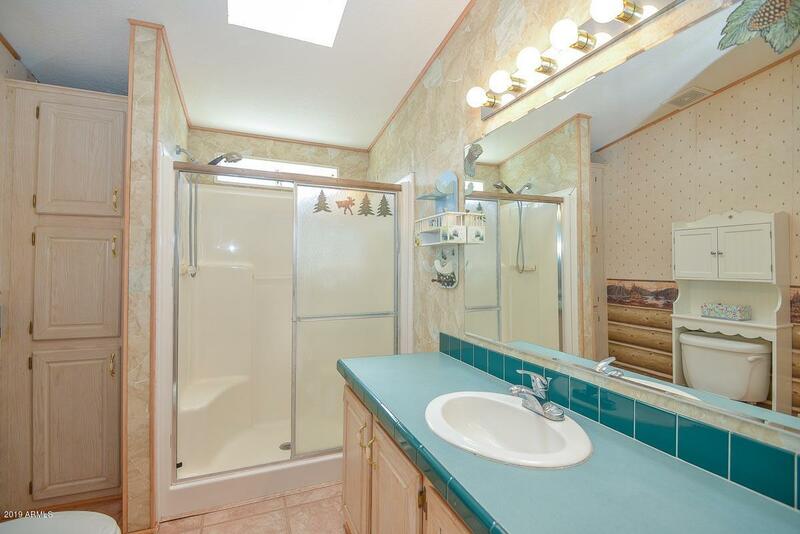 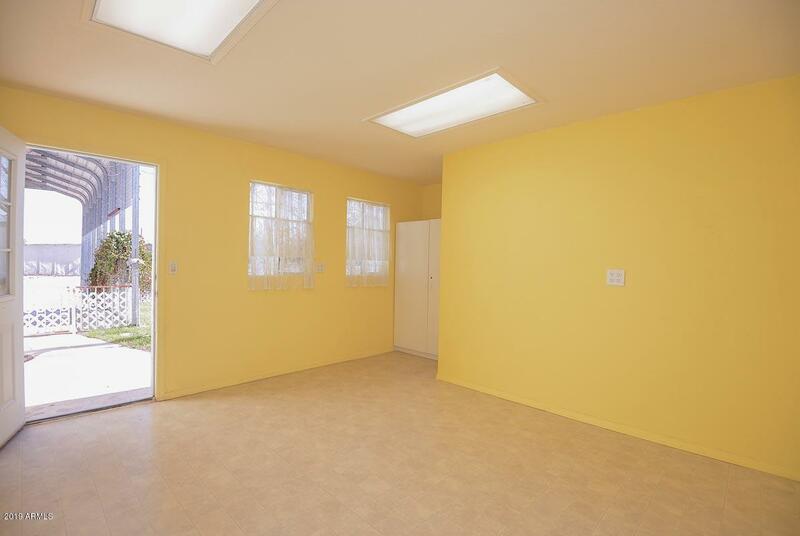 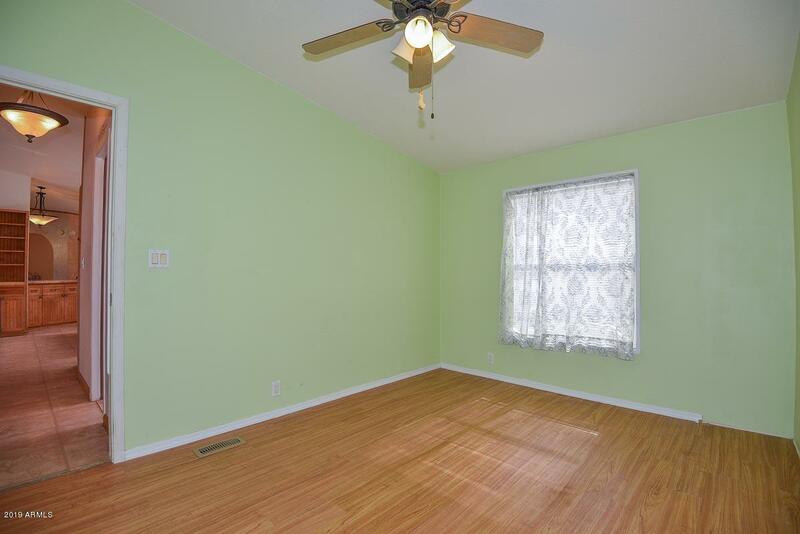 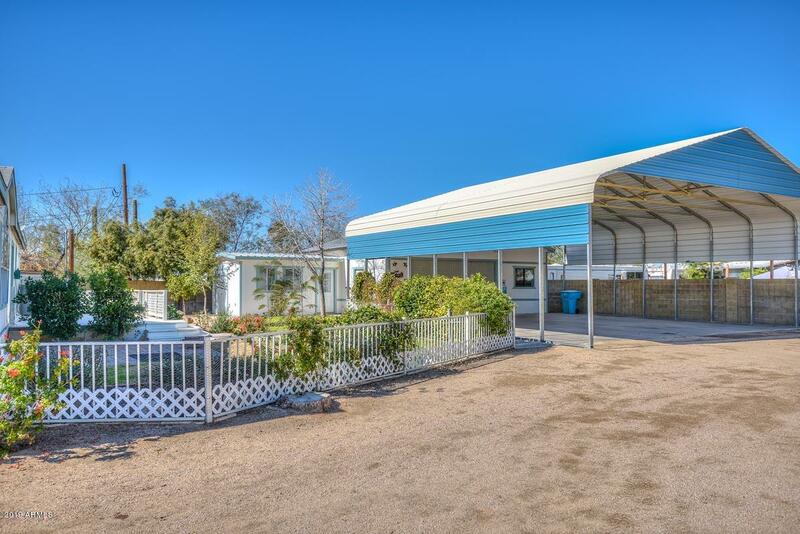 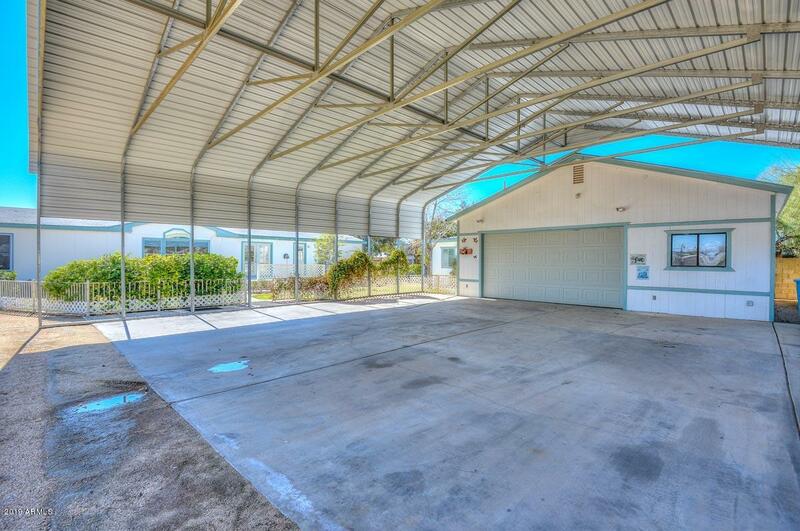 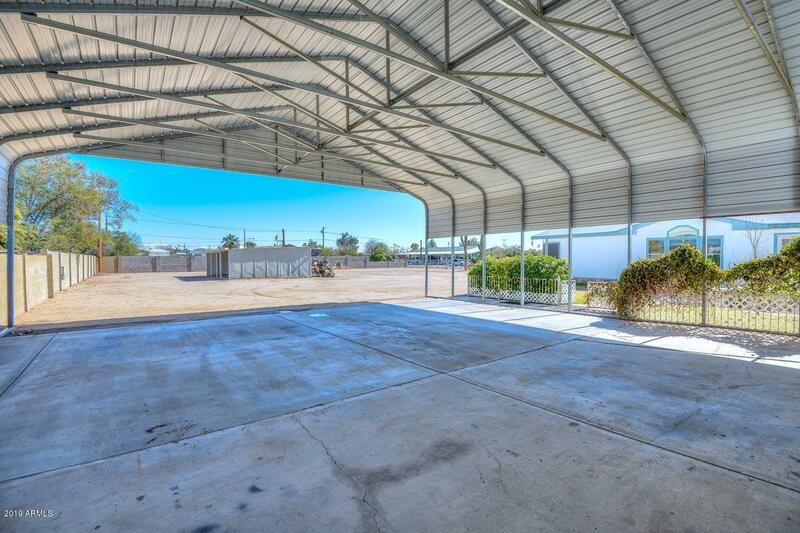 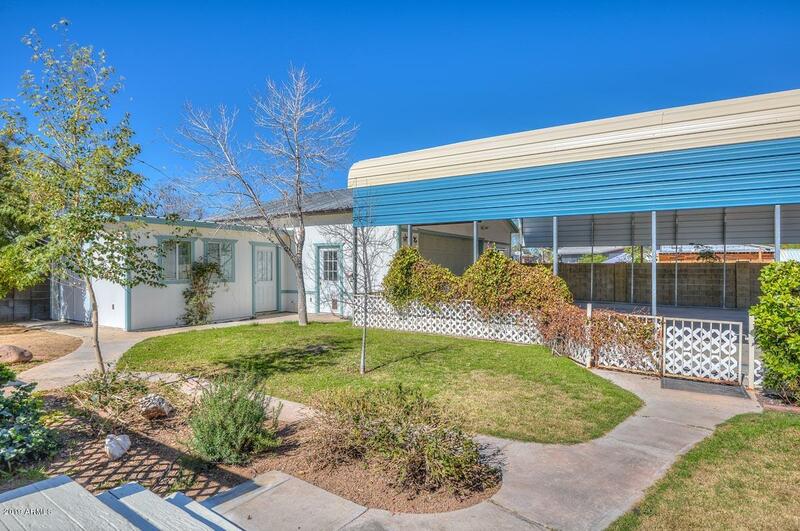 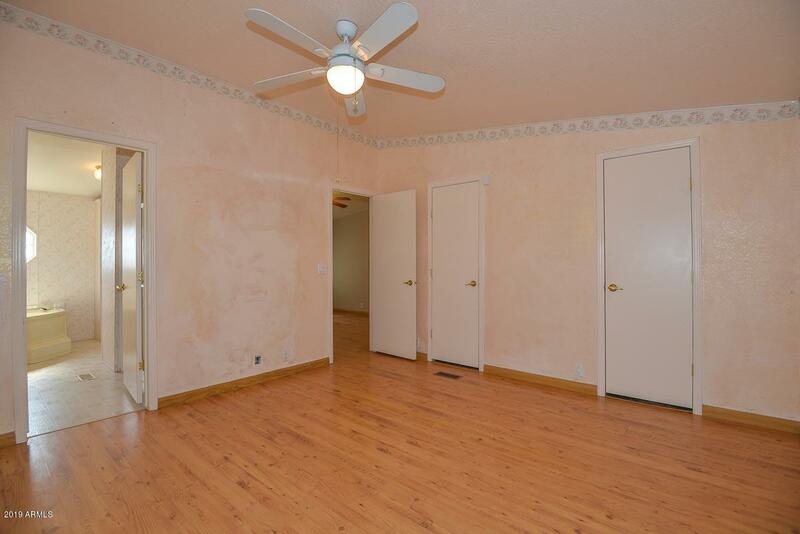 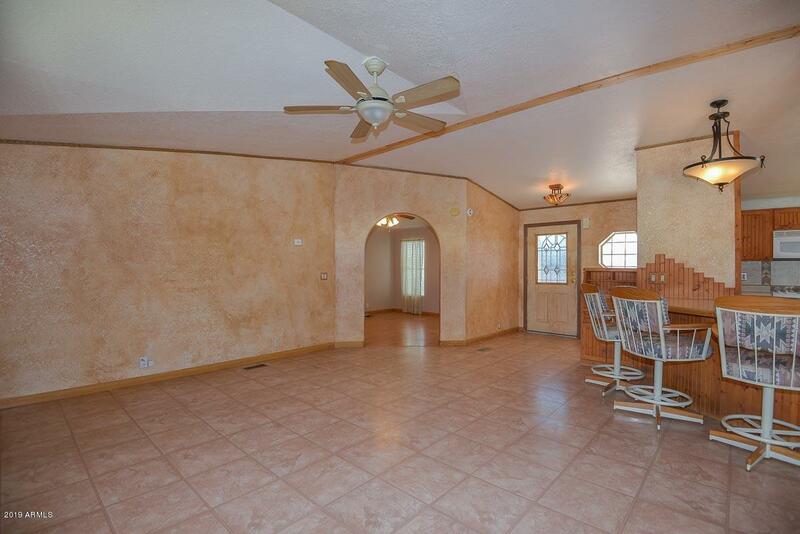 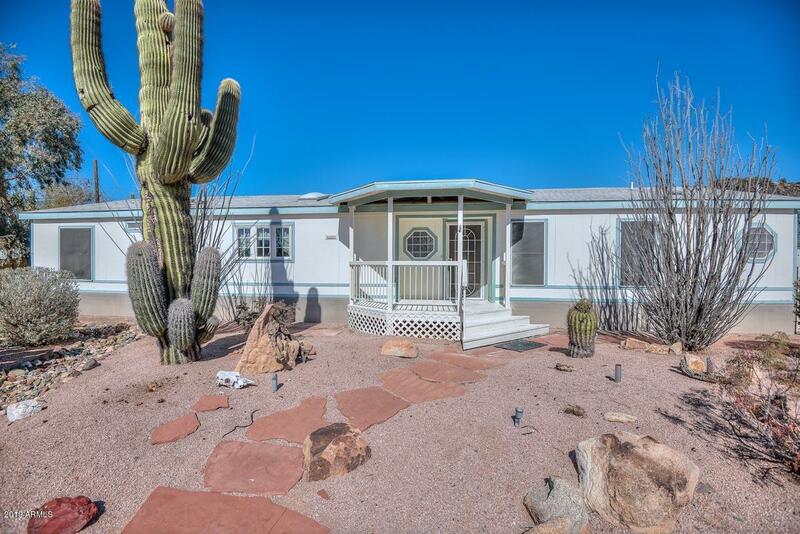 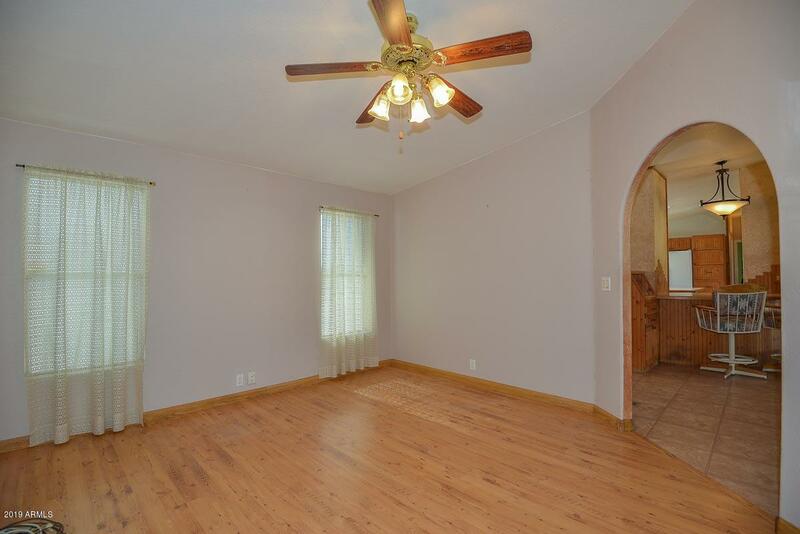 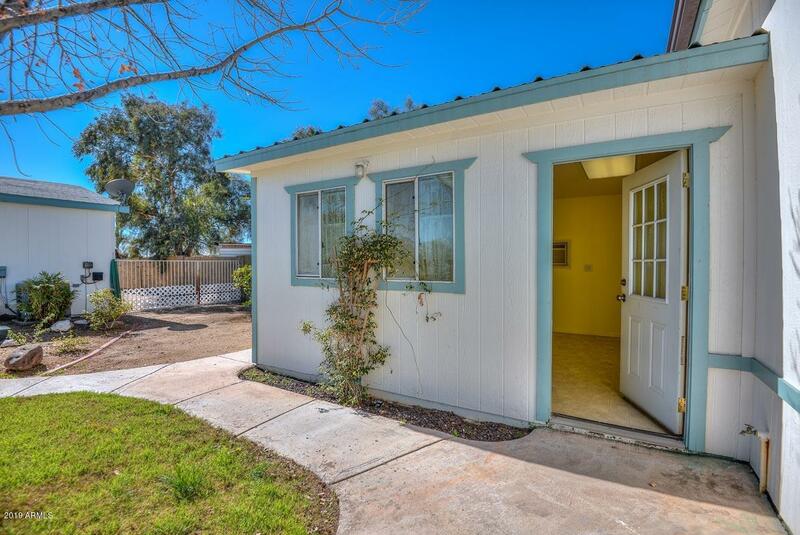 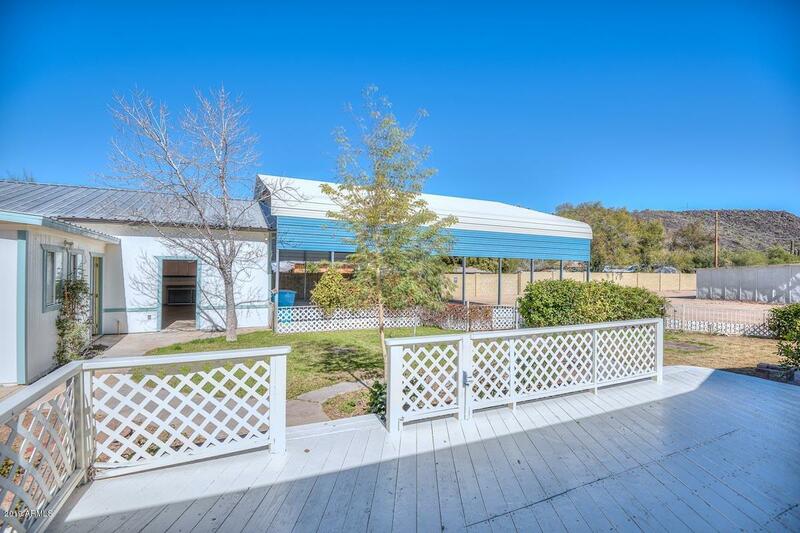 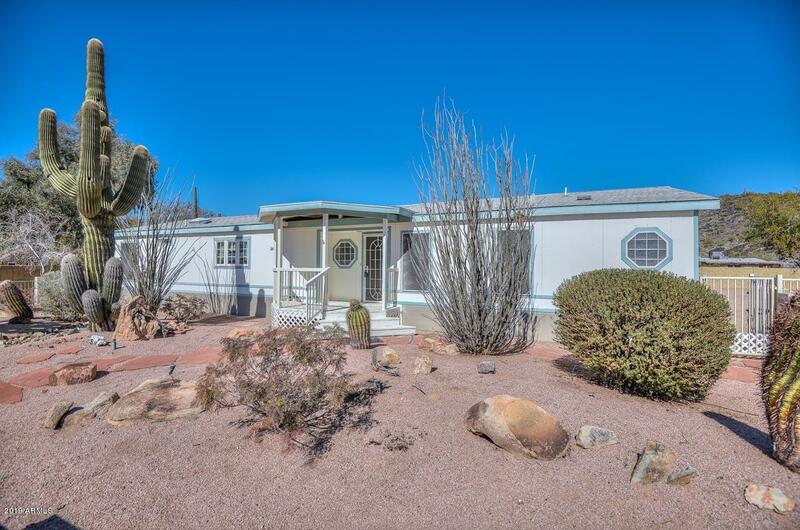 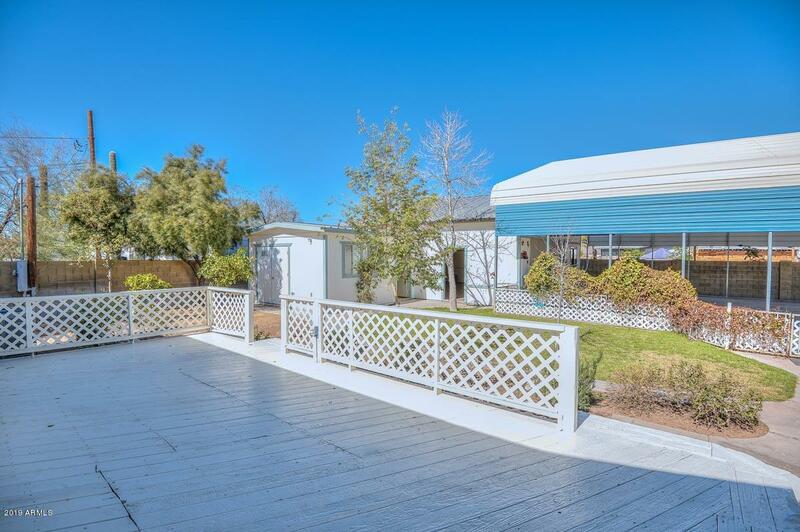 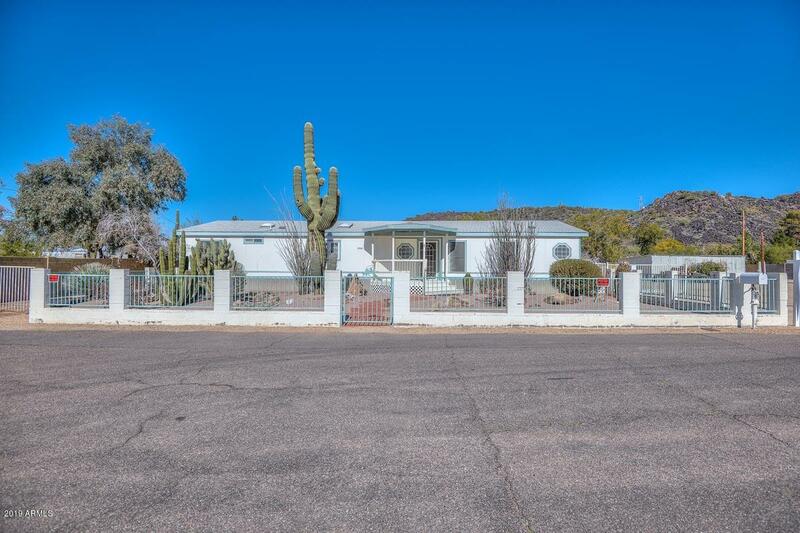 Amazing property in North Phoenix with almost 1/3 acre, 3 bedroom 2 bath manufactured home, Large oversized garage and workshop and huge extra high carport structure. 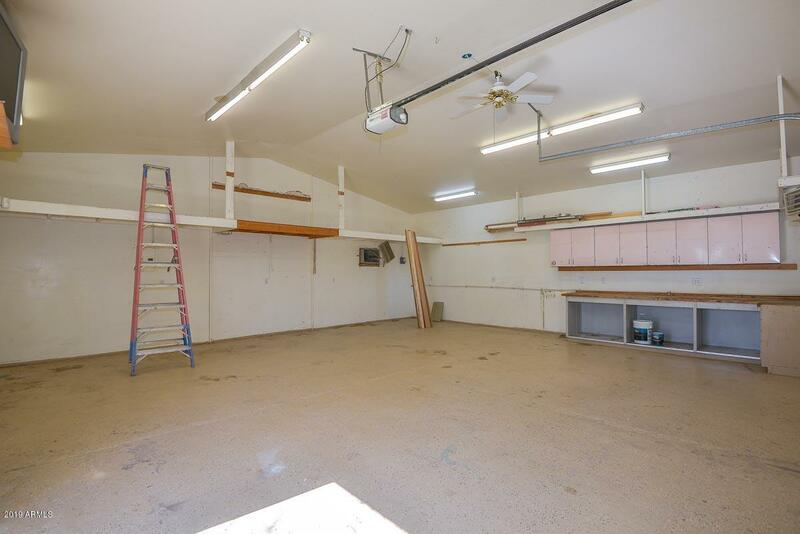 Water and electrical service to workshop and adjoining office/multi purpose room. 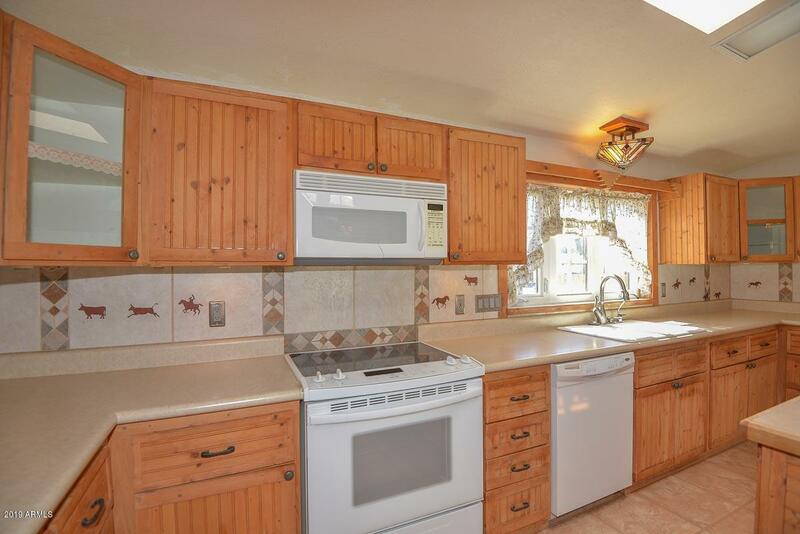 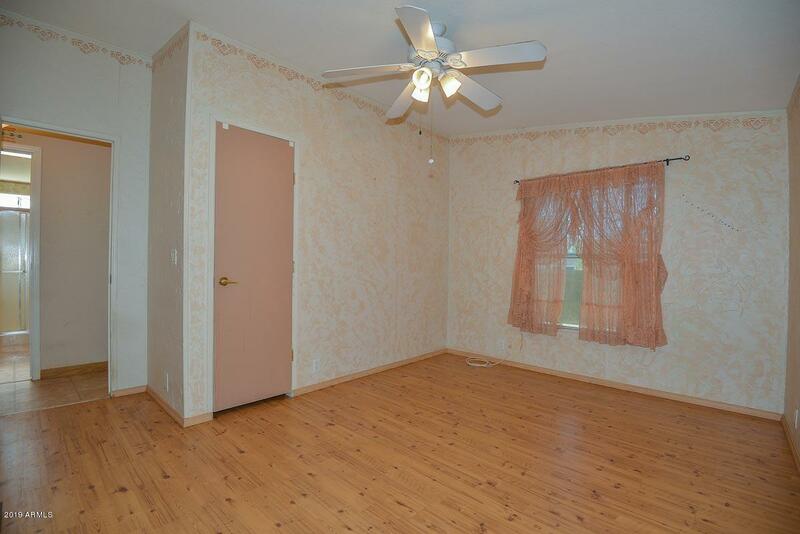 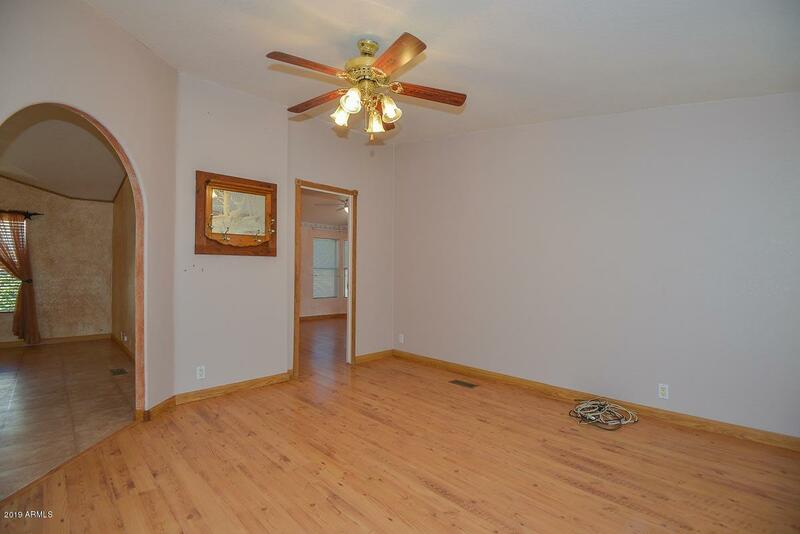 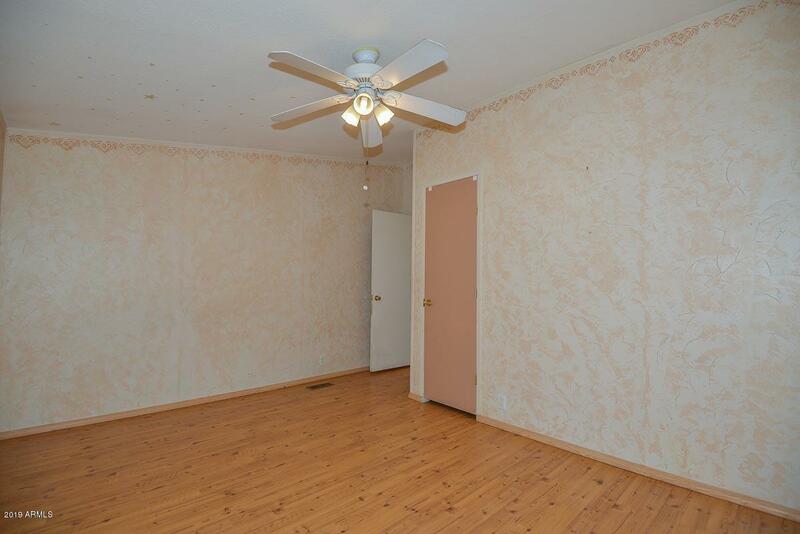 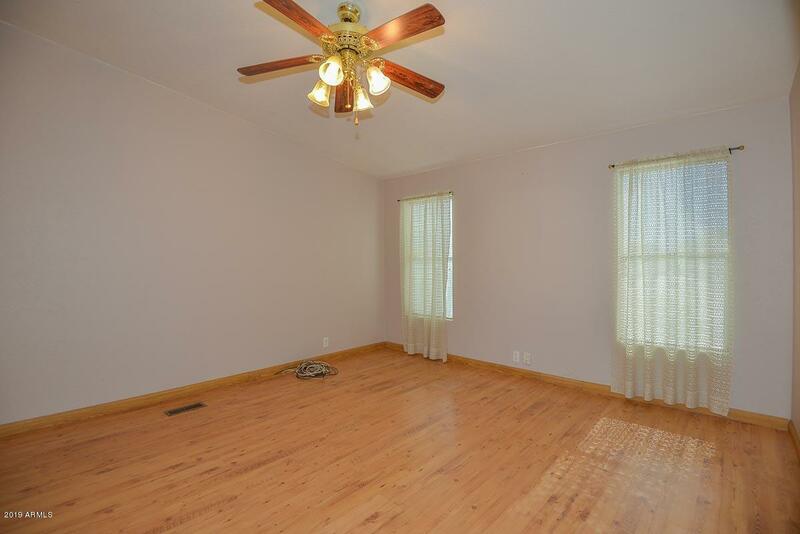 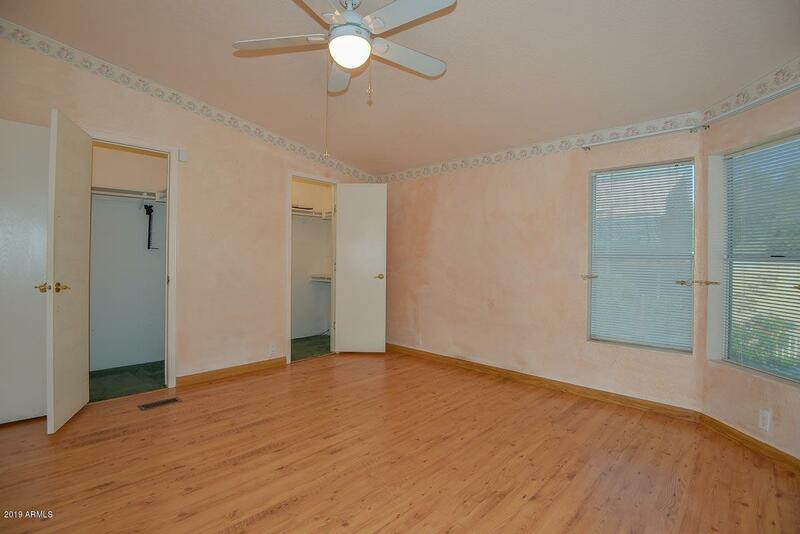 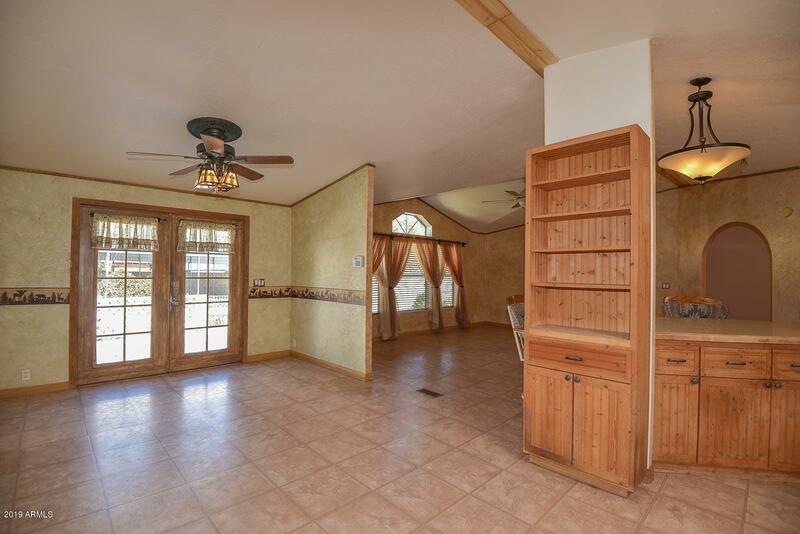 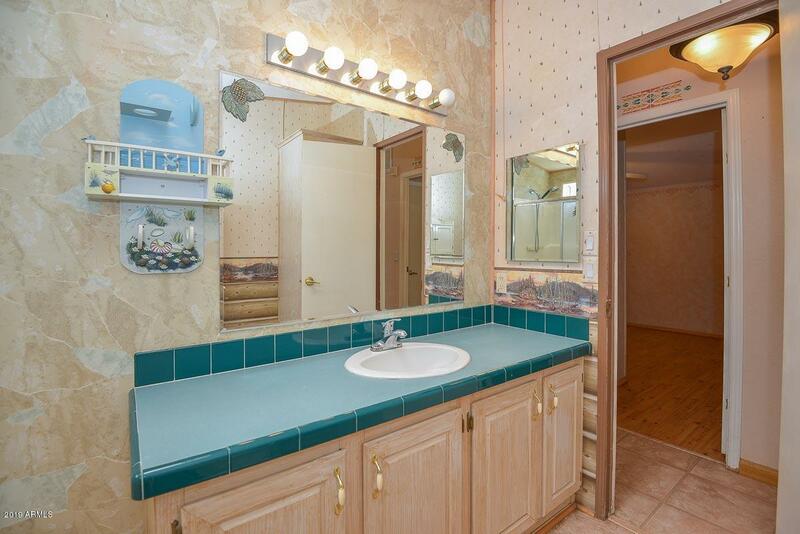 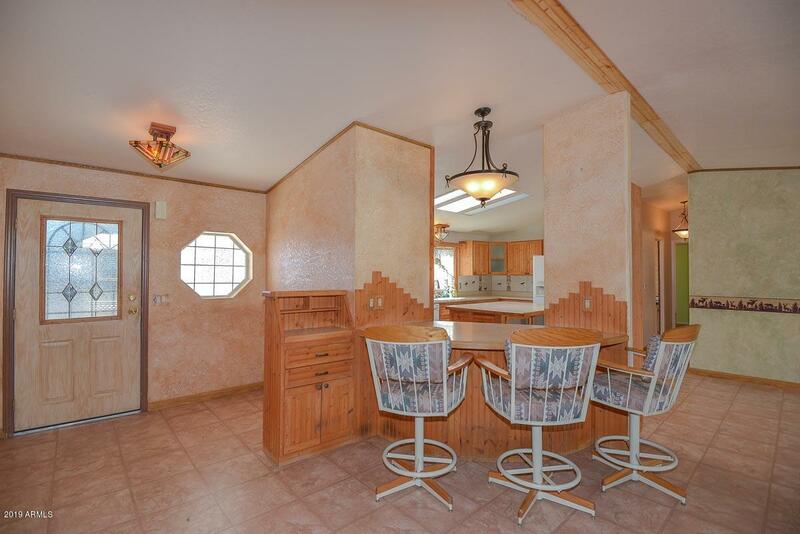 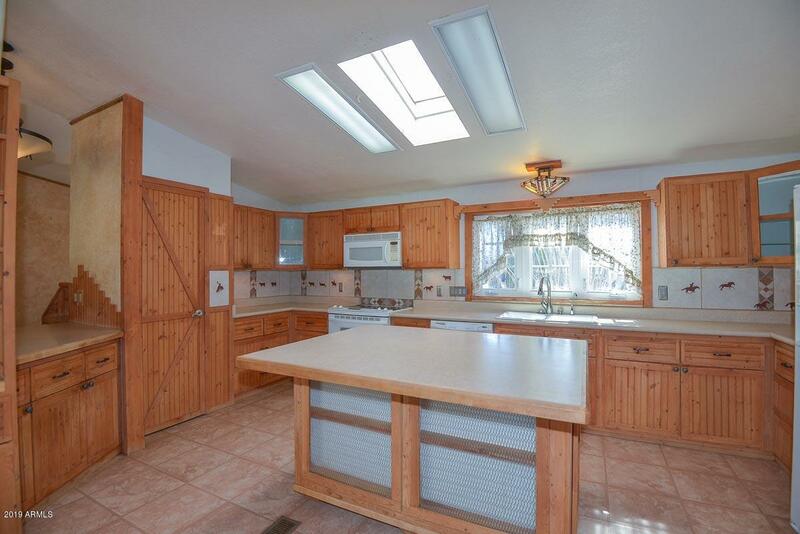 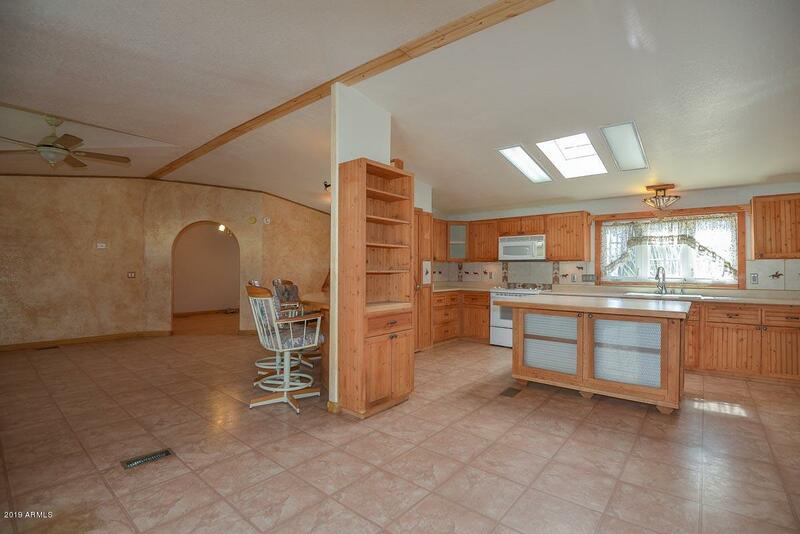 Home features custom cabinetry in large kitchen. 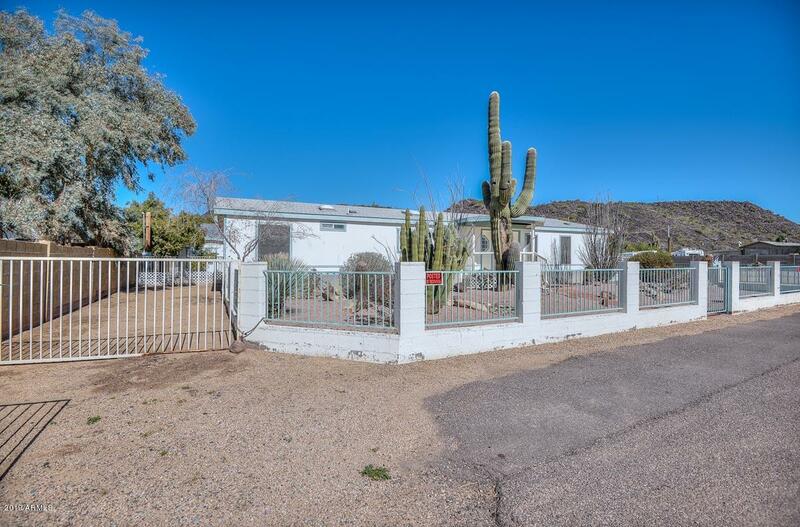 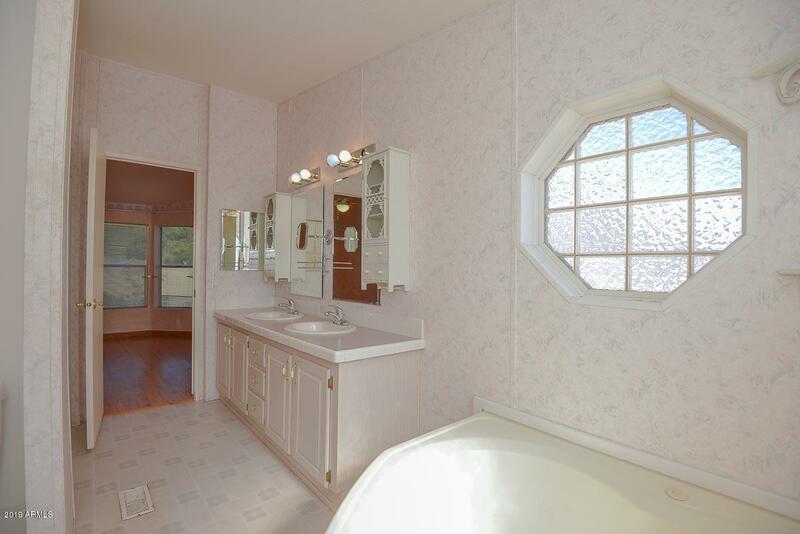 Beautiful cul-de-sac lot with mountain views. 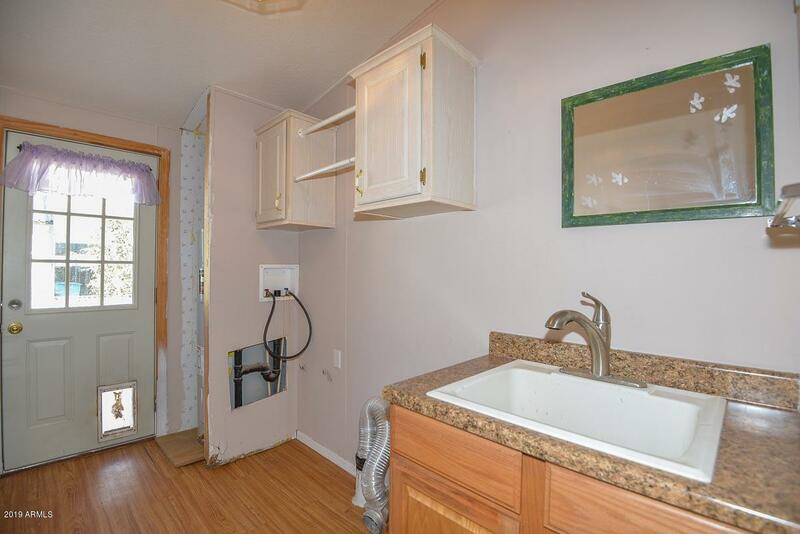 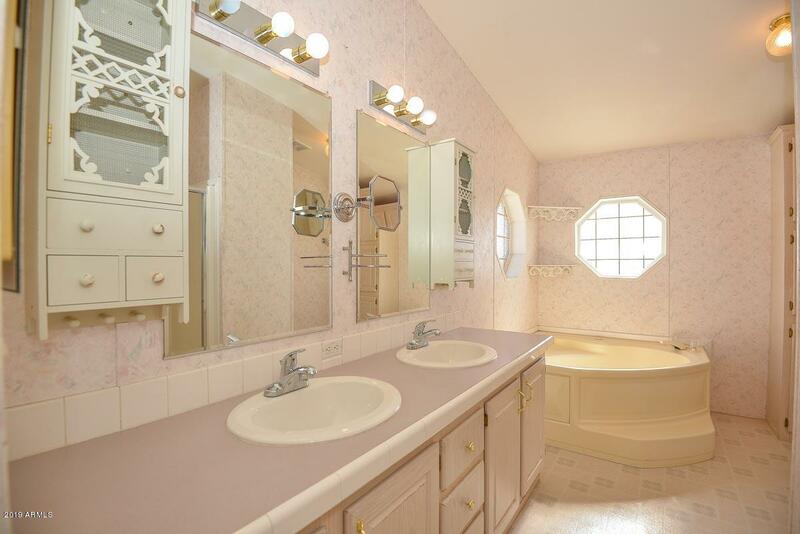 Extremely private. 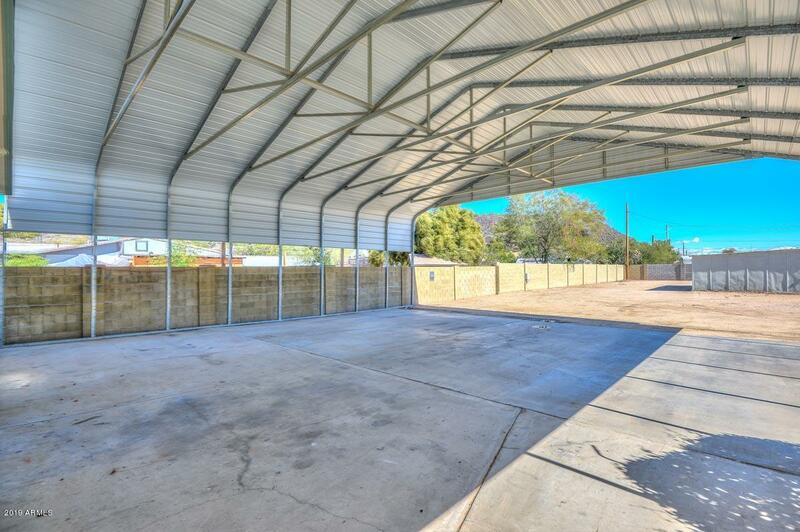 Adjacent 1/3 acre lot also available for sale.